Ms. Raven Jones (Director of School Counseling): I am a native of South Carolina, but have lived throughout the country, and world. I have been a School Counselor for the past eight years, and served as a Combat Medic and Mental Health Specialist in the US ARMY prior to becoming a School Counselor. I earned my Master's of Education in School Counseling from South Carolina State University in 2010, and my Bachelor of Arts in History from Winthrop University in 2005. I am very happily married to a career solider, Lt. Colonel Shaune Jones, and am the (usually exhausted) mother of two very mischievous little boys, Asher and Austin. 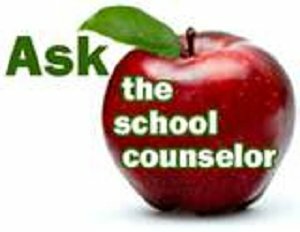 Our goal in the School Counseling Department is to serve all of our WMS Stakeholders as a source of needed information, a support system during difficult times, and as a liaison for parents with the various aspects of the School and Division community. We look forward to working with you all throughout the school year, and working together to ensure our students have a successful and rewarding Middle School experience! Ms. DeAnne Lewis (6th Grade): I am a native Northern Virginian from Fairfax County. Prior to coming to PWCS, I served as a primary counselor for an intensive inpatient drug/alcohol program along with working for ASAP (Alcohol Safety Action Program) in Fairfax. This will be my 26th year in education here in Prince William County. The first 20 years, I spent working for the Office of Student Services as a Student Assistance Program Specialist (SAPS); providing primary prevention and intervention in the areas of substance abuse, bullying, mediations, violence, and suicide. I served thousands of students during those years at all three grade levels; high school, middle, and elementary. I have a Master's Degree in Counseling from Suffolk University, Boston, MA and have an endorsement in school counseling. My goal as a middle school counselor is to stress the importance of integrity at all times, taking care of oneself, asking for help, and encouraging healthy peer relationships. Through my humor and direct but caring approach with students, I am hopeful they will make the necessary behavioral changes to help ensure academic and social success. Ms. Medina Gipson (7th Grade): This will be my 34th year in education with the past 16 years serving in Prince William County. I hold a Master’s Degree in Education from Abilene Christian University with endorsements in School Counseling, Supervision and Instruction, and Special Education. I am new at Woodbridge Middle School and have witnessed that your children are in good hands. Administrators and teachers are committed to academic success for all students. My role as one of the school counselors is to provide support for that same success. I am a Prince William County native and a graduate of Potomac High School. I received my Bachelor's of Science degree in Psychology from the University of Mary Washington and completed my Master's in Education, School Counseling at Liberty University. I also have earned a post-graduate certificate in Educational Leadership from George Mason University.For the past five years, I was the School Counseling Director at Drew Middle School in Stafford, Virginia. I have worked in several different roles in the mental health field and middle school is my favorite age group. I am excited about joining the Woodbridge team! Quick facts about me: I have one sister, a niece, and a nephew, with who I am very close with, my favorite color is orange, I have a Labradoodle named Ally, I am a Washington Redskins fan, and I spend my summers at Smith Mountain Lake. Our 2017-2018 mission and philosophy statements are available for viewing here.